The all-school Art Lit presentation and project of Ancient Egypt, scheduled for Wed, 10/11, has been postponed. The new date will be communicated as soon as it is confirmed. CPMS's Art Lit program is entirely funded and staffed by volunteers. 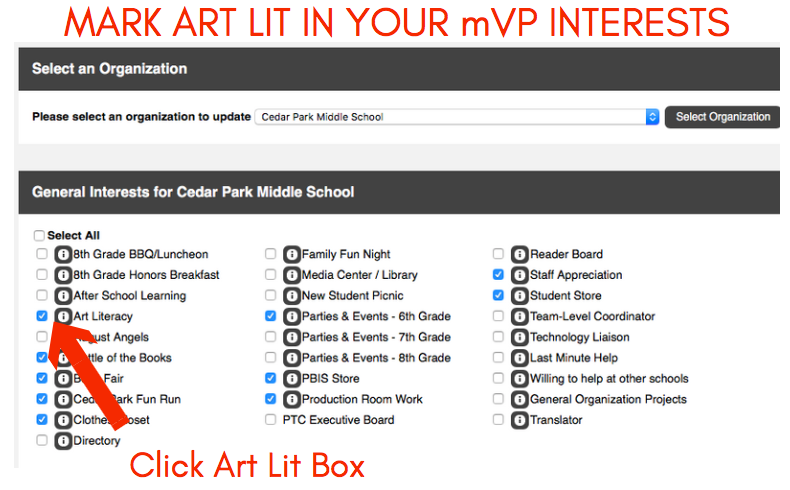 If you are interested in joining this team and having an opportunity to volunteer within a classroom, please mark your interests in mVP by clicking My Profile–> Interests, filtering by Cedar Park, and then clicking the Art Lit box.